Camping. Go camping at least once this summer – even if you are very busy you can still go on a mini forest adventure for the weekend. Sunbathing. Sun is important, yet neglected source of natural vitamin D for your body. Low levels of this non-dietary vitamin are associated with osteoporosis, higher risk of some cancer and health risks for your bones. Even if you don’t have the time to go to fancy vacation you can still have nice and healthy sunbath in your backyard or to go to some pool. This will only take you few hours but you will feel much better. Visit a place you’ve never been before. Nothing is as refreshing and mind-cleaning than visiting an unfamiliar place. This can be both urban or country experience – be it a trip to the nearest village or visit a new book store, taking a few hours out of your ordinary route will make you feel better. If you are one of those lucky people, having a huge garden it’s absolutely mandatory to spend at least one night out there. You can make wonderful family experience, or make it a private pleasure just for yourself – take warm blankets and dream under the stars. Add some different touch in your look. This is always refreshing and renewing. No matter if it’s big or minor change you’ll feel better. Even a layer of bright, unusual colour of your nail polish will do great for your mood. Music outdoors. Most cities have classical music program in the park, or just amateur bands playing on the street. Next time you stumble upon such an event, don’t pass it but stop and enjoy the music, even for a few minutes. Photography. No matter where you go, don’t forget your camera. Taking photos, even with the simplest camera is relaxing, funny and saves the good moments forever. Sports. Nothing enhances your energy like moving your body. Take your bike, go swimming or just take long walk in the park. If the weather is too hot, prefer early morning hours, or evenings when the temperatures are lower. Take advantage of the warm weather and clean your furniture and carpets. Summer is the ideal time for carpet and upholstery cleaning. In this way they will dry faster, which reduces the need of running fans and lowers the risk of mould and mildew appearance. Arrange and organise your wardrobe. There sure are a lot of clothes you don’t or can’t wear any more – and throw them or give them away. Finding what to wear in the morning when you’re in a hurry to go out will be much more pleasant and easier. Can summer fruits and vegetables for the winter. Why not making your own pickles or strawberry jam? You can involve your kids and have nice quality time with them when making your winter supplies. Make a small herbal garden. 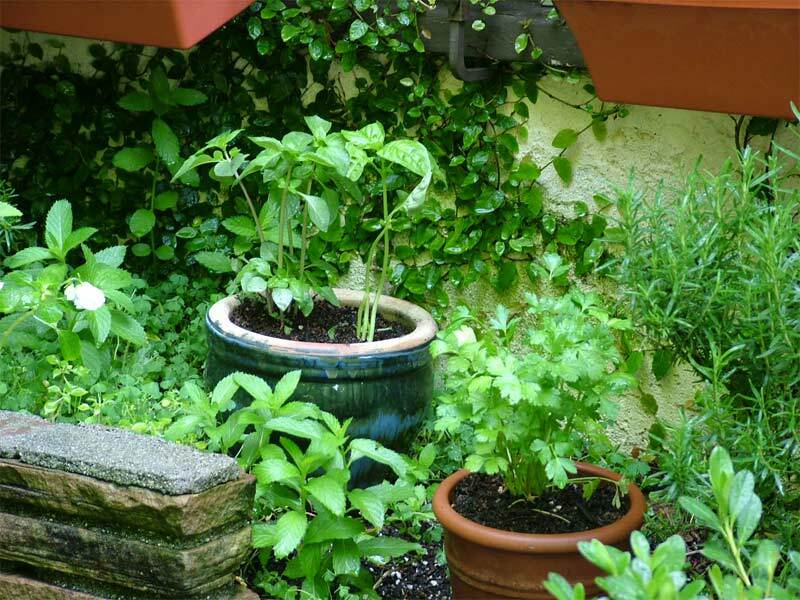 Even if your yard is not suitable for growing anything, you can still grown some spices and herbs next to the window. This way you will always have fresh additions for your meals. DIY home projects. Make your own paper garden lanterns, centre pieces for your party or a small crochet rug for your living room, or decorate a beautiful jar, turning it into a vase. Doing crafts is fun and relaxing and in the end you’ll have something unique. Turn off the air conditioner in the evenings. Even if it seems that the weather is too hot, you will make yourself a favour turning the cooling system down even if it is only during the nights. Never let the difference of the temperatures in and out of your home be more than 10 degrees. If the deviation is more than 10 C you can feel sick and get nausea, headaches, muscle crams and can be very dangerous for people with heart problems. Don’t want to throw away things that can be used again? Organise weekend garage sale. You can announce the event in some social network – like twitter or facebook – announce that you are going to have some great deals. This will be nice community experience with your neighbours and local residents. Make ice tea, cookies and get sunshades to ensure people are comfortable even if the weather is too hot. As you can see there are a lot of things you can do to alternate your everyday life in summer. This list is helpful it you want to bond with your friends and family, or to get little bit more “you time”. Instead of using it, you can make a list of you own. The most important thing is (consider this as number 16) – try new things and enjoy The Moment.